Our latest framework choice launched today. 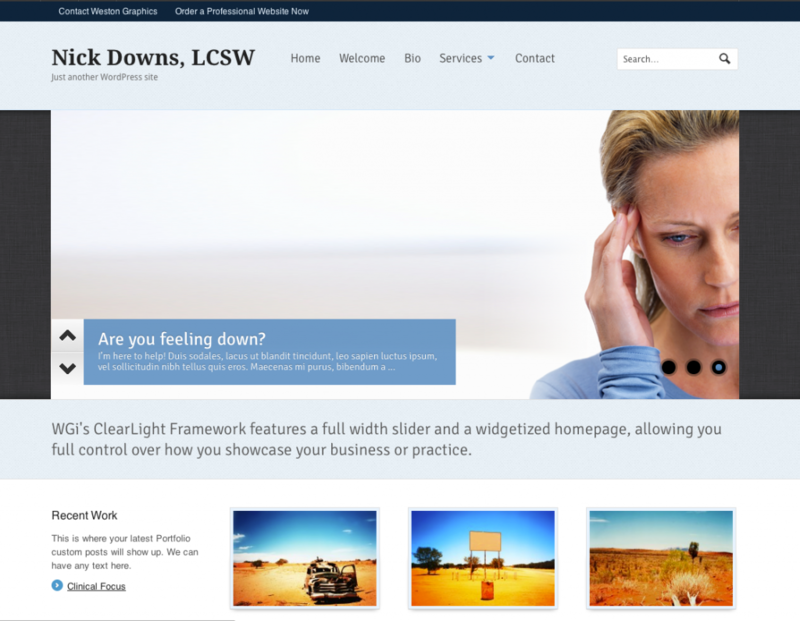 ClearLight aims to set a new standard on our business/clinician framework line-up. It features a clean and responsive design, customized modular homepage, portfolio functionality that we all love and integrated WGi e-commerce so you can sell products on your site! Have a look at the clean design and layout. Click the image to go to the live demo site.